I've been working on a lot of these for about a year. Have a bunch more waiting for finishing touches. Will be posting a parts list soon too tired right now. 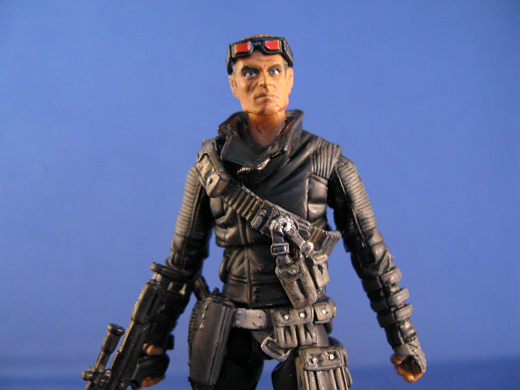 I wanted to update some of the JvsC era figures and considering Dart and Blackout were two of my favorites I decided to update them into the classic theme. Knee Pads-not sure I cut and dremeled them off of another figure. 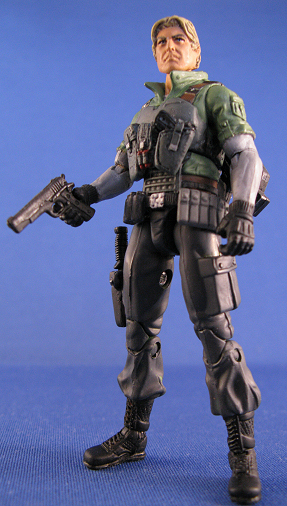 Knife-POC Duke (added a strip of think flexible plastic and ran that from the knife to the belt so that the holster could move and not be static). Last edited by DavAnthony; 07-17-2011 at 12:07 PM.. Same as above I wanted to give this character a more grounded look. Also I decided to scar up his face a bit as well as some minor burn marks. 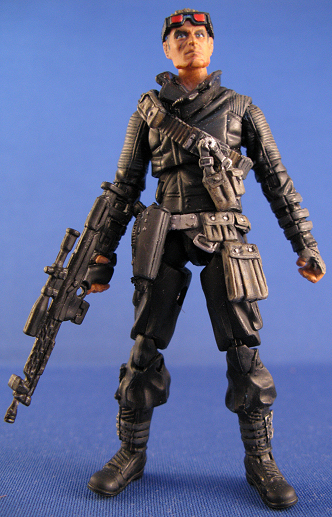 Blackout is supposed to be a pretty sick guy and I wanted to convey that with this figure. Head-SlayerDesignStudio head modded and added scars. Last edited by DavAnthony; 07-17-2011 at 12:10 PM..
One of the things I wanted to challenge myself this go around was not doing straight "redo" of the classic look of some of the more "extreme" looking figures but wanted to add a slight bent to them, updating them but keeping them inline with their original looks. I wanted a gypsy/Rasputin feel to Crystal Ball and I'm happy with how he came out. 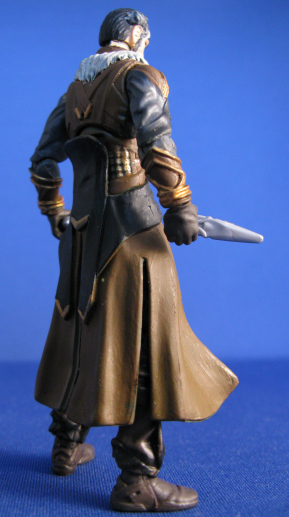 Body, Knife -Thor Loki figure (modded with fur collar and reglued lower "skirt" to keep in position). Last edited by DavAnthony; 07-17-2011 at 12:12 PM.. I've been working on this figure for a year. I was never happy with the look and kept tinkering with him on and off. 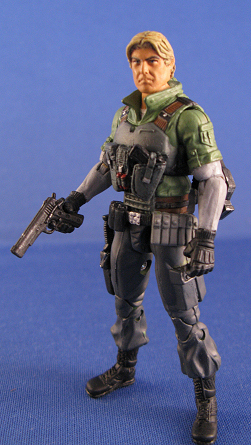 Ultimately I decided to tone done his color scheme and add more camo to the figure. So basically any area that was red has camo now, except for a few places where I kept it to shout back to the original figure. 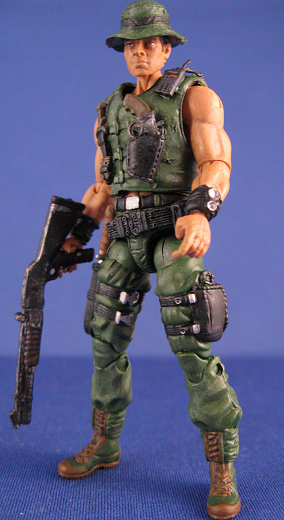 I also wanted a Colonial Marine feel to him and went for that as well. If you look closely he has a bullet hole in his helmet which I figured he keeps to prove his lack of fear. Last edited by DavAnthony; 07-17-2011 at 12:16 PM..
Holy Hell! I want it. I really didn't like the version that came with the Defense of Cobra Island pack. I ended up using his web gear, lower legs, and cape. That was about all that I felt was salvageable from the figure we got. I feel I finally have the Mindbender that reminds me of how he looked in the cartoon and comic but also what I had hoped we would get. I didn't bother with his monocle because I never liked it and I figured it is more than plausible the good doctor would get laser eye surgery in the 21st century. Cape- Dr Mindbender 2 capes folded to better resemble Mindbender's cape. Last edited by DavAnthony; 07-17-2011 at 12:19 PM.. 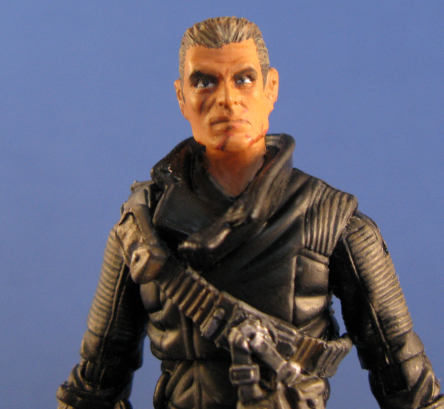 I don't know what it is about Muskrat but I loved this figure as a kid. I wanted to do a pretty faithful copy of the classic figure and went for that looks pretty strongly with this figure. To get the look I wanted I had to alter a lot o parts through sanding and sculpting. I was planning this figure for a little over a year but when it finally came together I made him in less than a day. 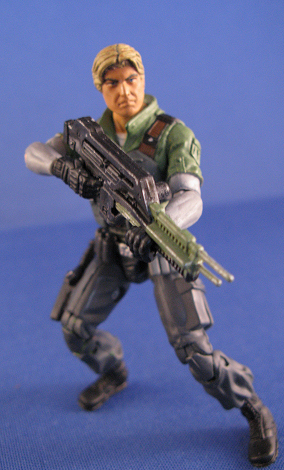 Torso-25th Gung Ho (heavily modded and sculpted the entire waist section by sculpting baggier pants and then the upper belt. 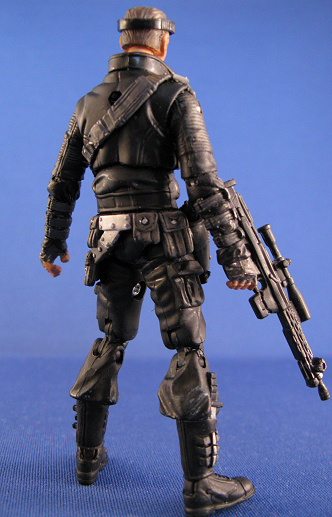 Lower Legs-25th Duke (sculpted bigger boots to the legs to make them more closely resemble the original figure). Last edited by DavAnthony; 07-17-2011 at 12:25 PM..
Another BIG challenge. I liked Psyche Out in the comics but the figure was a bit over the top. I wanted to update this figure and also bring him down to earth in his look. Therefore any silver has been replaced with grey and his strange chest harness that he has is more of a tactical vest now where he would keep papers on people and psychological warfare plans. I'm really happy with how he turned out. 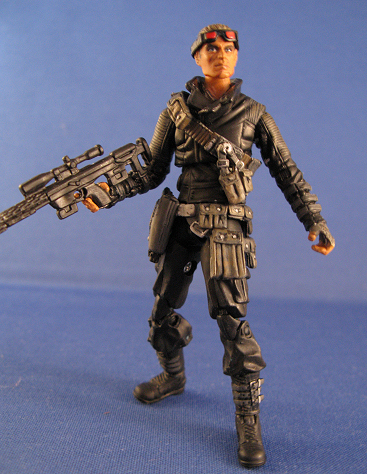 The figure feels like Psyche Out to me but has a more muted 21st century military tactician feel to me. Last edited by DavAnthony; 07-17-2011 at 12:28 PM..